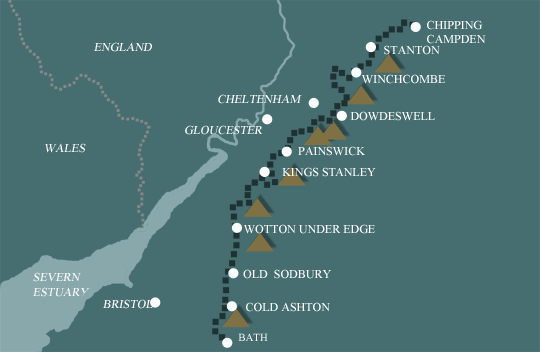 Cotswold Way - Self-Guided Walking Holidays. Completing the Cotswold Way over 11 days is our most leisurely walk, giving you plenty of time to enjoy the views and explore the unique Cotswolds villages. 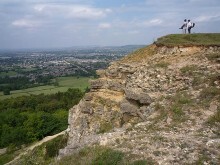 It is similar to the 10 days walk, but splits the section from King’s Stanley to Wotton under the Edge in half. The distances in the middle section of the walk are kept shorter. If you have time, spending a day in Bath at the end of your holiday would be an added highlight. Winchcombe is an attractive small town noted for its rose covered cottages. It has an interesting church which is decorated with forty five grotesque gargoyles - each representing a local character from the 1460s, and also houses an altar cloth worked by Catherine of Aragon. The Winchcombe Folk & Police Museum is worth a visit, as is the nearby Sudeley Castle.